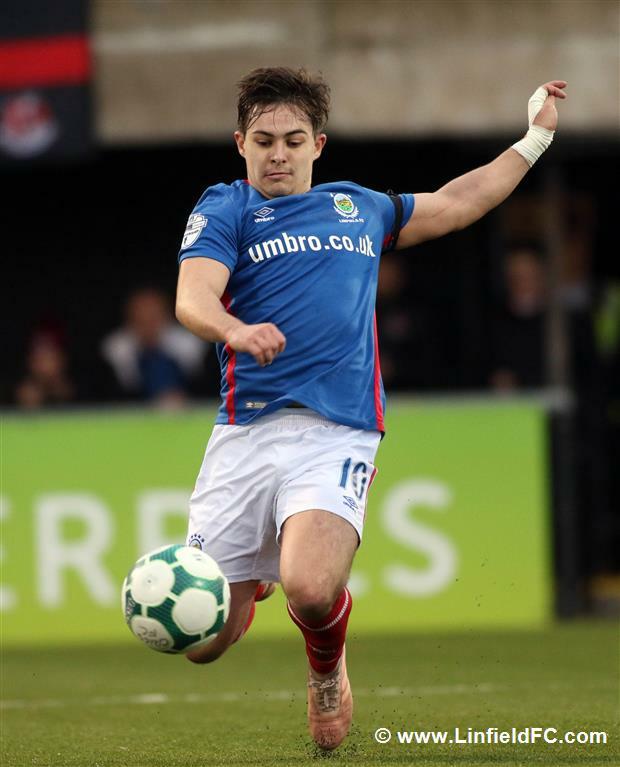 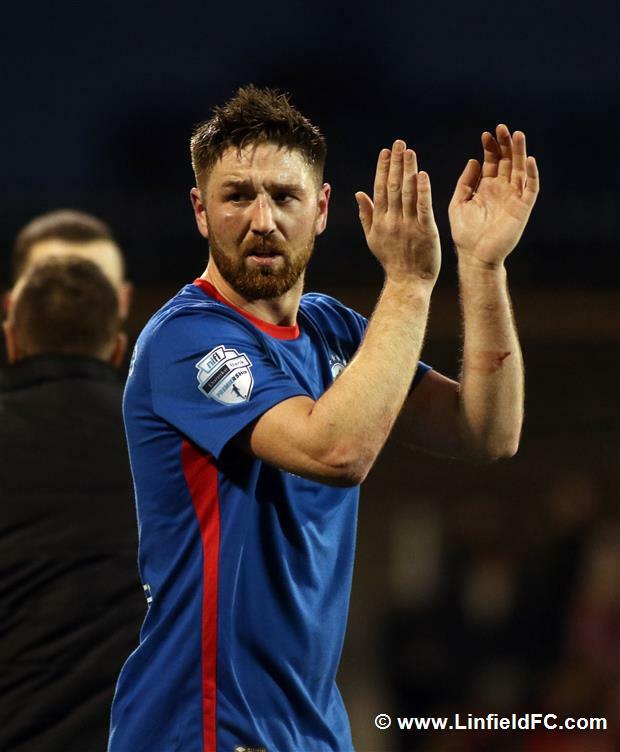 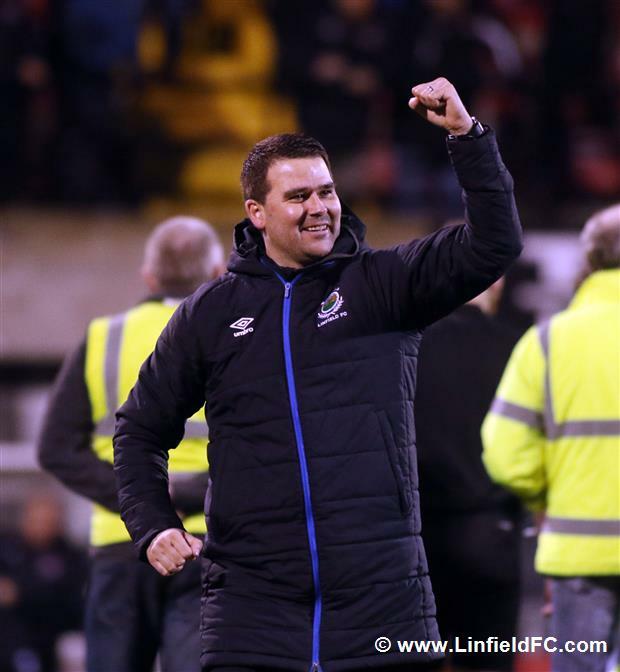 David Healy’s Linfield team produced a mammoth effort to defeat Crusaders at Seaview this afternoon with a real dogged performance after Jordan Stewart gave The Blues and early lead to hold onto. 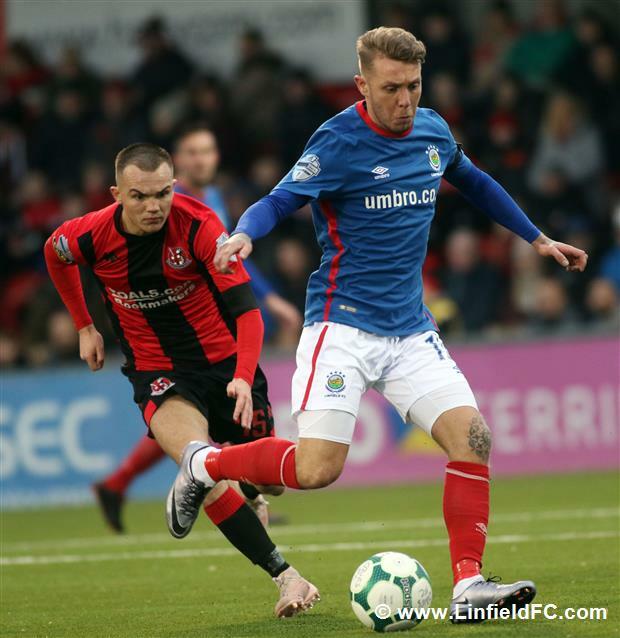 Linfield got off to a dream start at Seaview within an opener in the fourth minute. 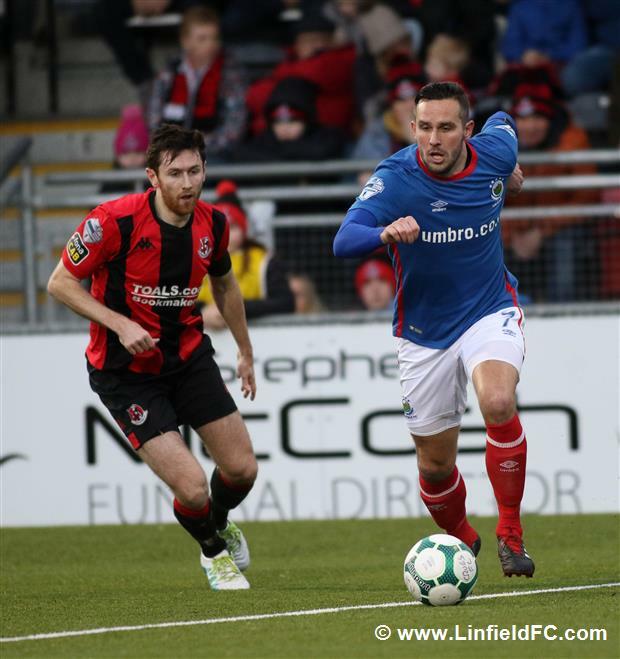 Jimmy Callacher’s long ball wasn’t dealt with by Crusaders and the in-form Jordan Stewart nipped in to lob Crusaders goalkeeper Gerard Doherty with a sublime finish. 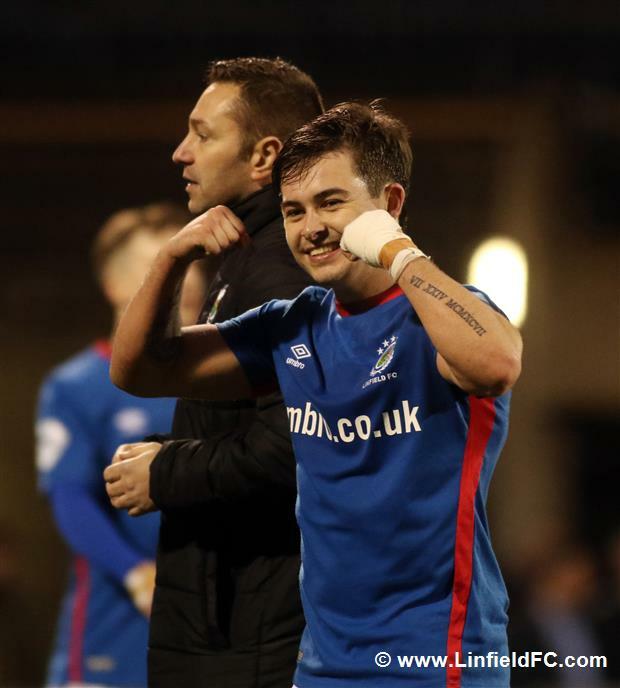 It was the young attacker’s seventh goal in as many league games. 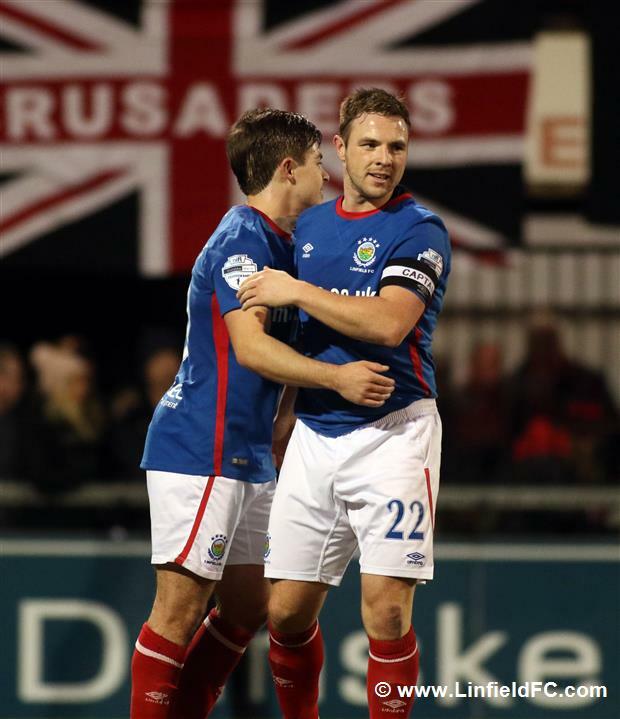 It was very nearly 2-0 as Andrew Waterworth went close on nine minutes. 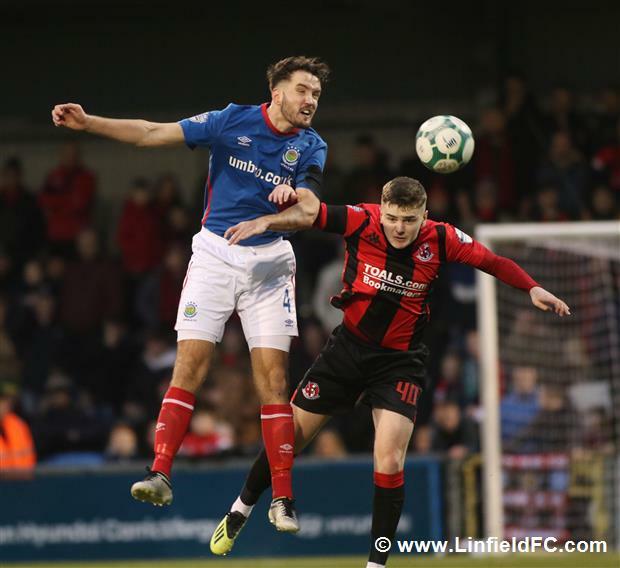 Jordan Stewart was instrumental again, turning Billy Joe Burns before picking out the striker, but his header was well parried away by Doherty in goal. 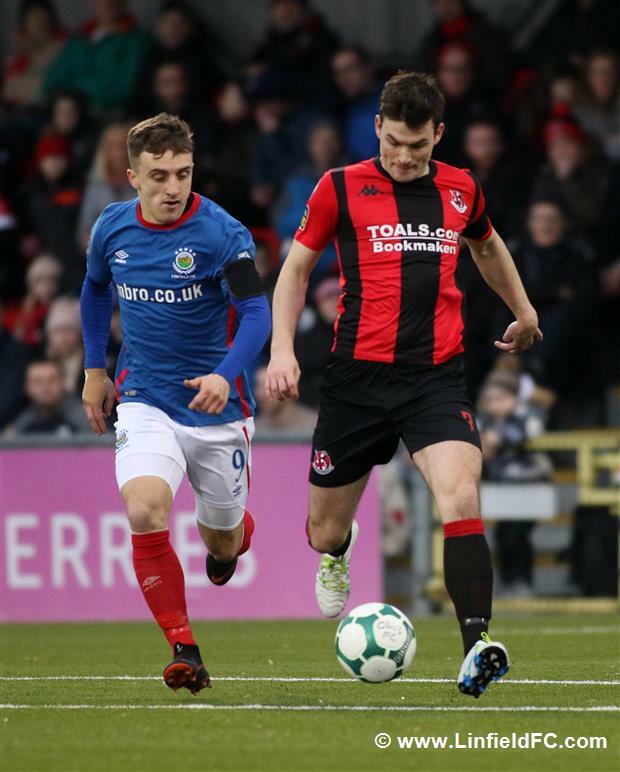 Doherty came to the Crues’ rescue again. 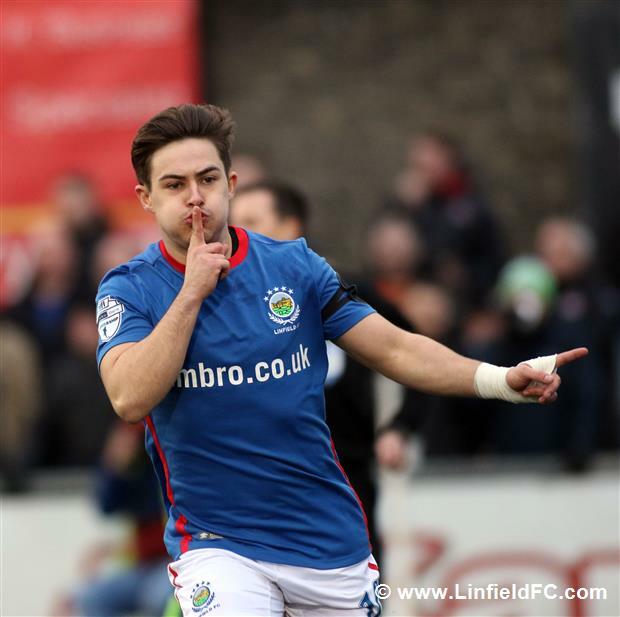 This time it was to deny Joel Cooper who’d stepped inside before firing a fierce strike at goal. 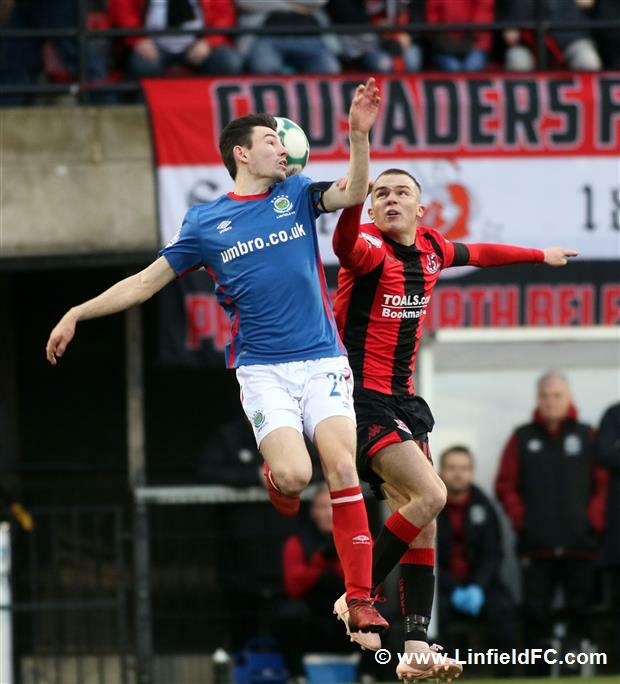 Crusaders had a big chance of their own to equalise but it went begging as Paul Heatley stepped in from the left and uncharacteristically fired over from close range. 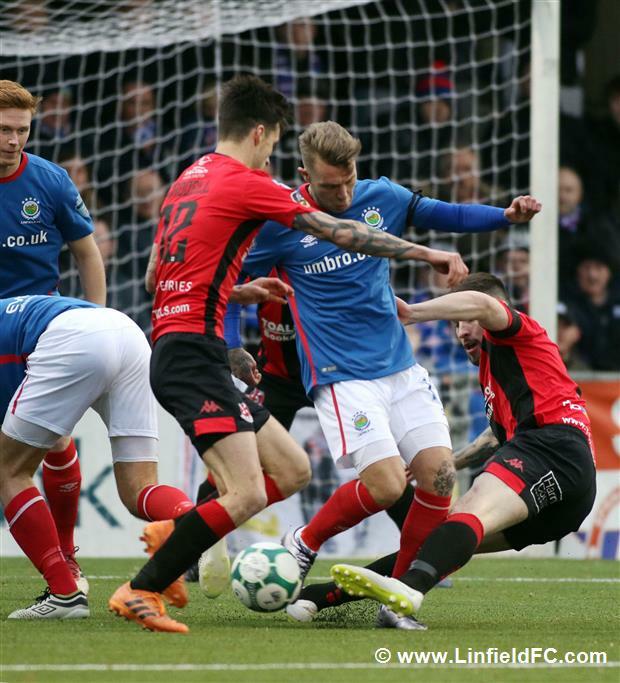 Later in the first half, Jamie Mulgrew fired over the top from the edge of the box after a typical driving run from midfield. 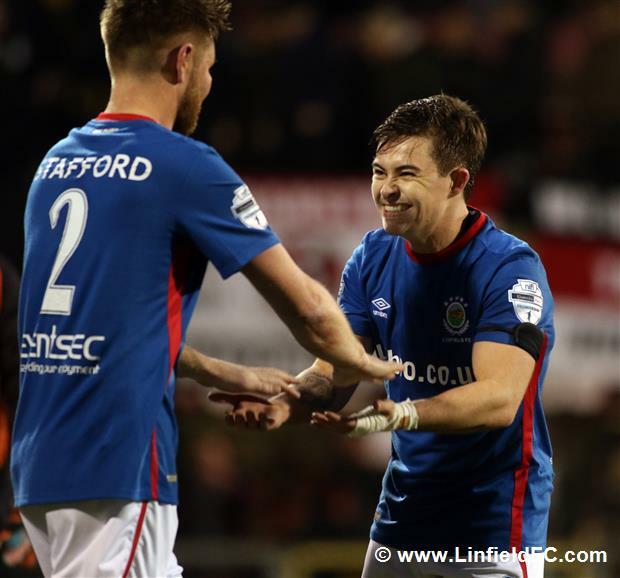 Philip Lowry and David Cushley both tried their luck from distance, but both audacious efforts drifted wide of the post. 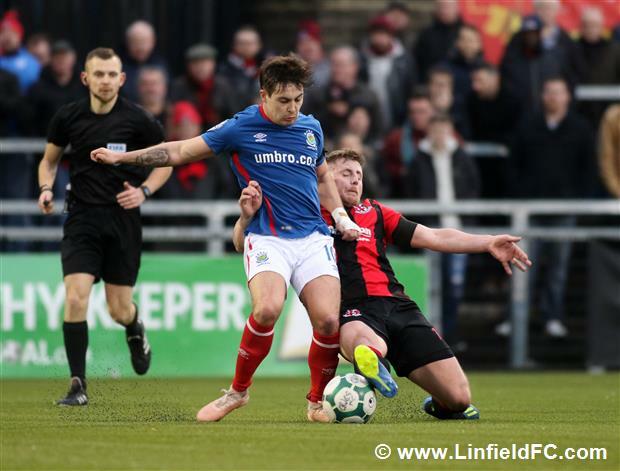 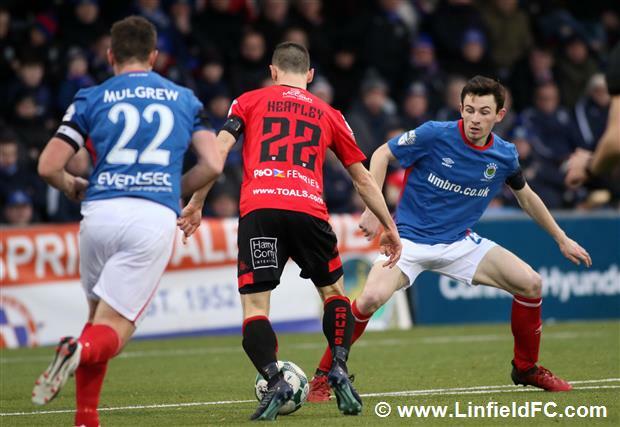 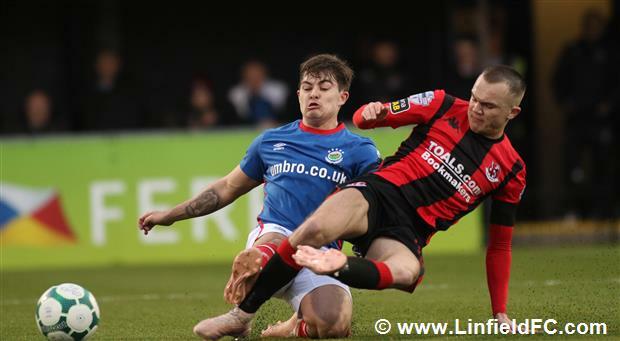 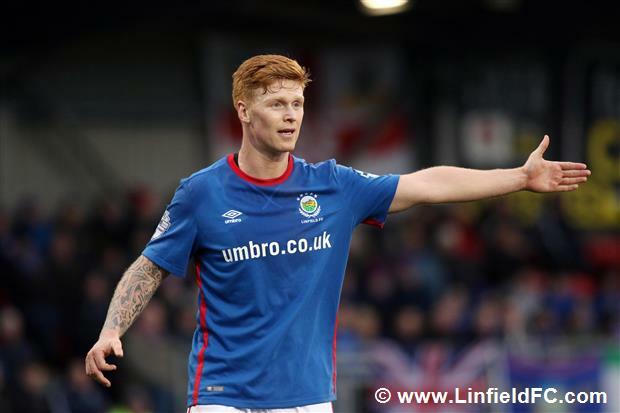 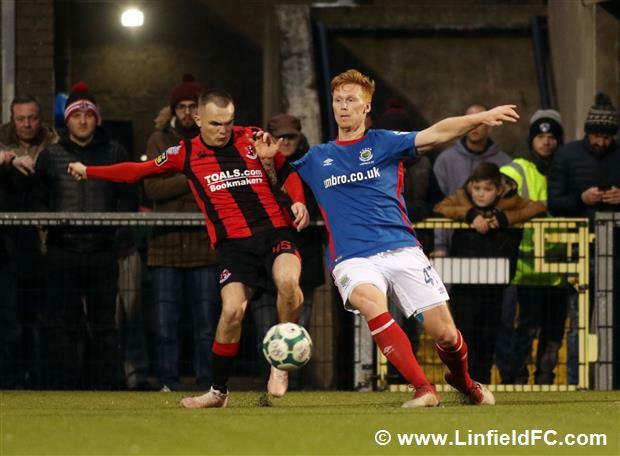 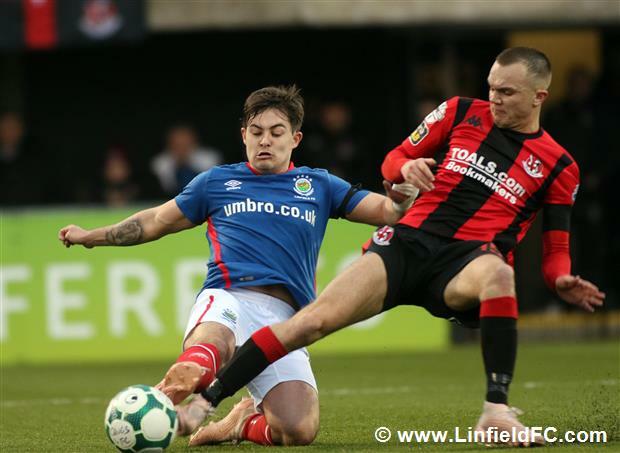 Former Linfield man Ross Clarke was a half-time substitute as Stephen Baxter looked to change things for Crusaders and he almost made an immediate impact. 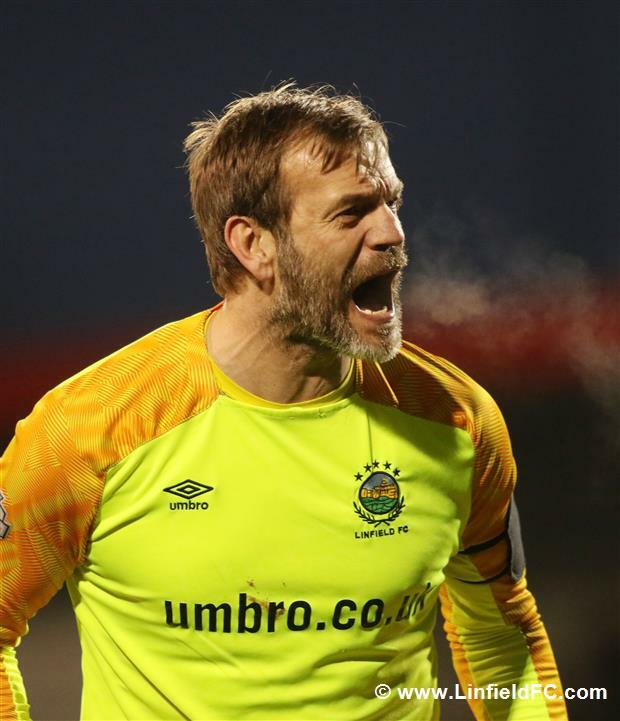 The winger drifted out wide before his cross-come-shot was smartly turned over the crossbar from Roy Carroll. 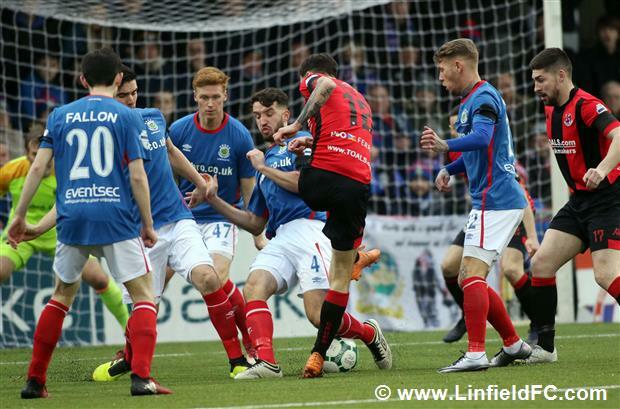 Linfield had a chance to make it two when Niall Quinn’s quick thinking at a free-kick sent Joel Cooper in, the winger fired below Doherty but into the side netting. 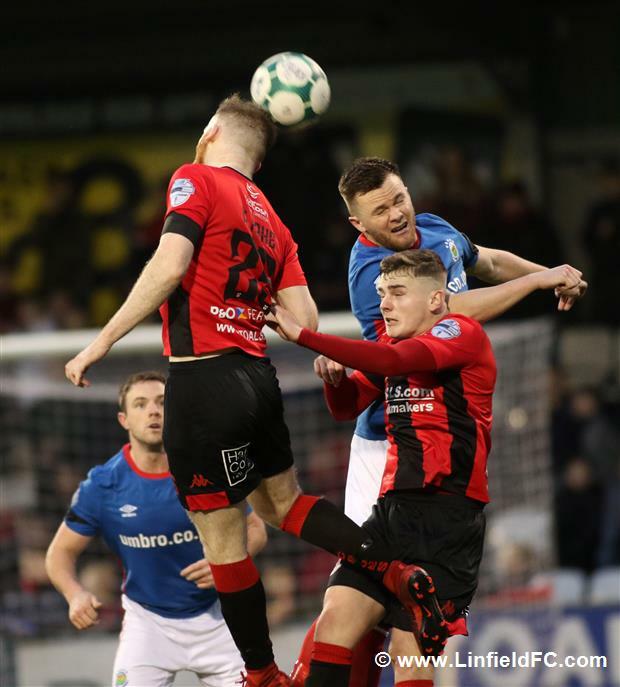 Kirk Millar had Doherty panicking when he met Josh Robinson’s diagonal free-kick, but his effort from the angle hit the roof of the Crusaders net. 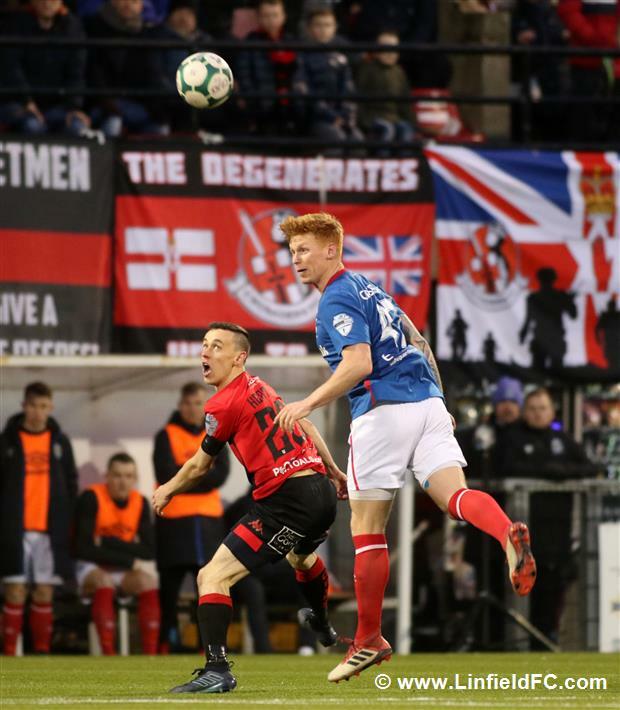 Tempers were spilling over and a melee followed, as well as a number of cynical and agricultural challenges from the Hatchetmen. 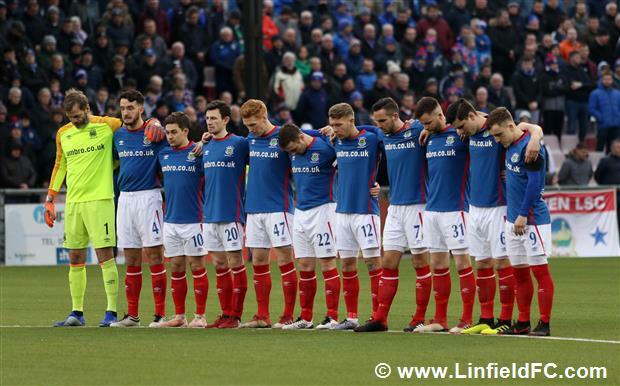 However, Linfield showed admirable discipline and keep their heads in the game. 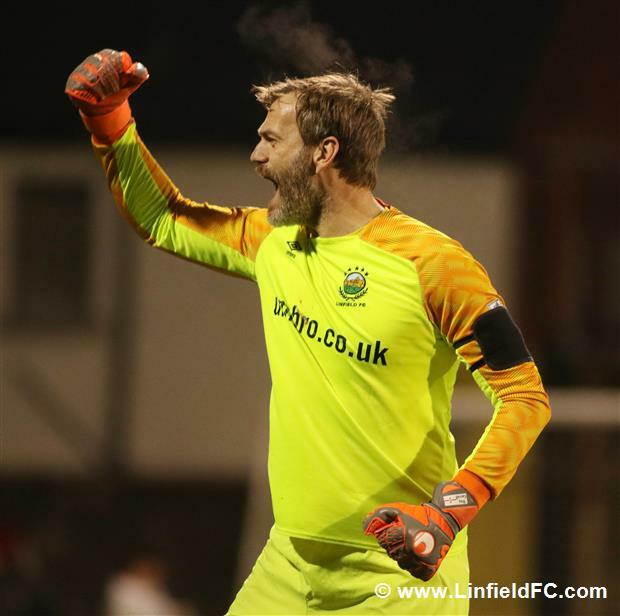 Mark Stafford replaced the injured Jimmy Callacher on 56 minutes after he’d hurt an arm in a challenge and Fermanagh man Stafford went close with a header from a corner, seeing his effort go just wide of the post. 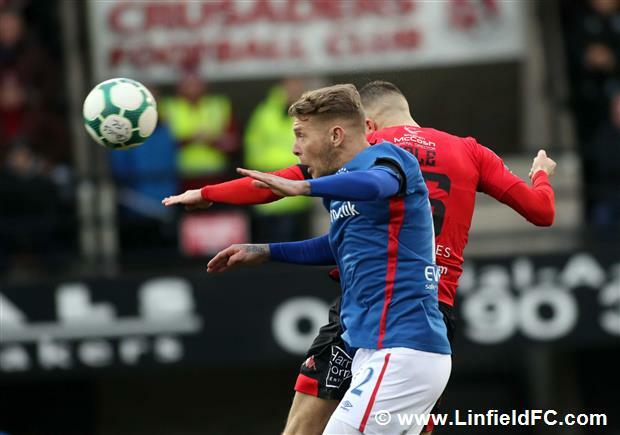 Crusaders, as expected, threw everything at Linfield but the team produced a collective defensive masterclass and it was clear to see why Roy Carroll and his back four haven’t conceded in more than eight hours of league football. 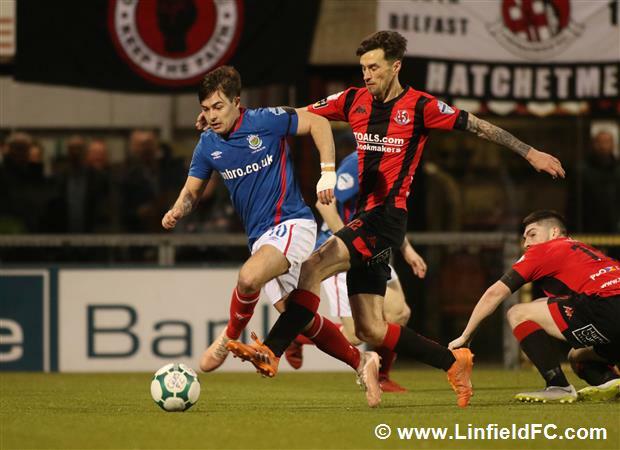 The Blues have scored seven goals against Crusaders this season and interestingly, each goal has been scored by a player with a Christian name beginning with the letter J.